Guilford bed and breakfast travel guide for romantic, historic and adventure b&b's. 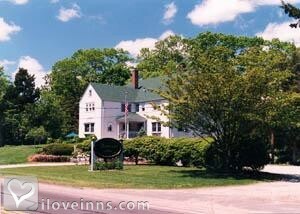 Browse through the iLoveInns.com database of Guilford, Connecticut bed and breakfasts and country inns to find detailed listings that include room rates, special deals and area activities. You can click on the 'check rates and availability' button to contact the innkeeper. Historic shoreline town with the prettiest Town Green in the state,shopping, historic homes dating back to 1639,apple picking, hiking, and nearby New Haven and Mystic By The B&B at Bartlett Farm. Get a feel of a quaint rural farm life as you stay at an elegant Guilford bed and breakfast. Experience the charm of a small Long Island Sound shoreline town at Guilford, CT and enjoy its variety of historic sites and major tourist attractions -- the streets of Guilford take pride in the structures that align it, the third largest collection of historical homes in all of New England with houses going as far back as the 18th and 17th centuries. And despite commercial and industrial progress, Guilford maintains its rustic character and individuality. Guildford bed and breakfasts are just a few steps away from numerous boutique shops, antique markets, and art galleries. Get a bite of the history behind Guilford's beauty and visit the different Guilford museums including the Hyland House, the Dudley Farm, and the Henry Whitfield State Museum. Come, stay a while and leave your worries behind and enjoy everything that Guilford has to offer. By The B&B at Bartlett Farm. With the distinction it achieved in 2005 as one of the best places to live in the country, it is only right that you visit the town of Guilford. Located in New Haven County, Connecticut, this town has a number of parks and scenic spots to enjoy. Looking for an accommodation should be easy since there Guilford bed and breakfast inns dotting the town. Chaffinch Island which is near the town is ideal for picnics and trekking. If you would rather go swimming in the sea, try Jacobs Beach. However, if your idea of water sports is in fresh water, Lake Quonnipaug is the choice. Other interesting sites in Guilford are Sachem's Head Yacht Club and Rothberg Institute for Childhood Diseases. When it comes to historic sites, Guilford also has several. These include Dudleytown Historic District, Falkner's Island Lighthouse, Acadian House, and Meeting House Hill Historic District. By The B&B at Bartlett Farm.